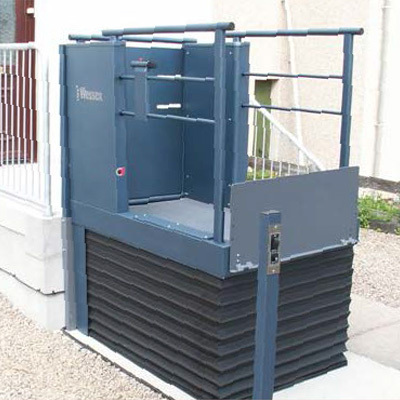 We offer a wide range of stairlifts and affordable access solutions from selected manufacturers, Advanced delivers cost-effective solutions for the home and business. "Fitter was prompt, quick and tidy, I am very pleased." "The service I received was none other than excellent, I never realised how often I had crawled up the stairs until my son insisted I have a stairlift and I will be eternally grateful. " 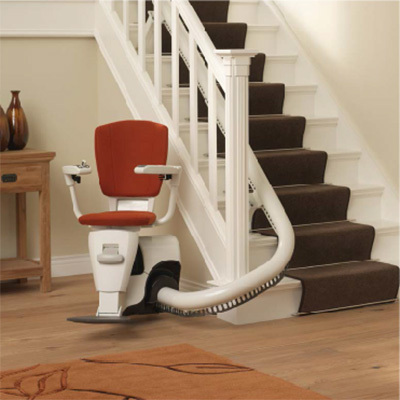 "The stairlift has been life changing for both me and my husband! " "We find the lift simple to use and is an absolute blessing in our present circumstances. " "A fantastic service was provided from start to end. The engineer who installed the starilift was very pleasant, great manner and explained everything. He was a very tidy worker. " "Nice guy, total pro, super job. No Hassle, no mess, 10 out of 10, I’m fair chuffed." "The engineer was considerate and took the trouble to go through the function with me, thanks it has improved my life already! " "The service was first class, could not have asked for anything better, the man who fitted the lift was really nice, friendly and very helpful, nothing was too much trouble. " "The installer was very professional and courteous, done an excellent job. " "Very happy can go up and down without worrying about it breaking down. " "My fitter was an excellent gentlemen and above average for todays tradesmen. " "All in all a complete success, many thanks! " "The engineer watched me go up and down the stairs and made sure I was satisfied and felt safe on the stairlift." 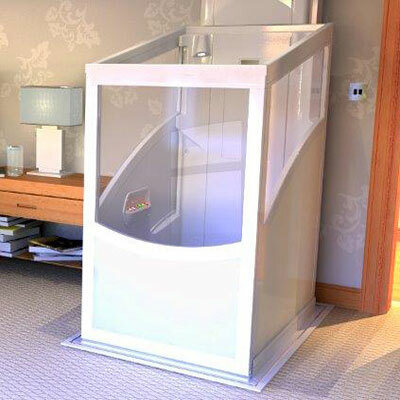 "The installation of the lift has been of great value to me and given me a bit of independence. Thank you." "The person who came to do the job was very mannerly and could not have been more pleasant a pleasure to have in our home. I am pleased with your company and would recommend you to everybody! " "The engineer who came to install the stairlift came at the arranged time, got through the work quickly, leaving a clean, safe staircase. He was pleasant and explained clearly how the stairlift worked. " "Service was second to none. Young man was very polite and very good at his job, the fitter was brilliant, just thank you very much. " "Highly professional in all areas, very helpful and informative, I would recommend this company to anyone." "Big difference to my way of life." "The quality of work was super it was quickly and quietly installed and with no fuss or mess, excellent overall"
"Very good service, quick and efficient"
"I would like to thank all staff at Advanced for all their help"
"On time, job done very well without any fuss and very pleasant"
"Engineer was very helpful and polite"
"The person that installed the lift was very pleasant and helpful and patient"
"The man who fitted the lift was very lovely and helpful, he fitted it a lot quicker than I had thought. He got on with his job without problems and was polite. I am only 38 and have been putting off getting one for ages and struggled on the stairs. However your company fitted a stylish one that matched my hallway and is incredibly comfortable to use"
"Gerry who installed the stairlift was immaculate in his dress, ability and very pleasant and helpful, footrest required adjustment a few days later as was catching on bottom stair, this was promptly attended too, thank you"
"The service was excellent. The installation engineer was so down to earth and totally excellent. The stairlift has changed my quality of life and made things a lot easier for myself"
"The installation of my stairlift was done with speed and precision. My carpet had to be lifted but everything was put back in place as tidy, you would never have no that work had been done. The guy who installed it was very good and explained everything in a language that I could understand. I would absolutely recommend this company to any of my friend or family. I have already posted on Facebook"
"The service was very good, the man who put the stairlift in was very helpful and kind he was also very informative"
"No need to improve, 5 out of 5"
"Your help has made things easier at a stressful time for our family and we appreciate it"
"Service was very good, Technician doing the measuring and fitting couldn’t have been nicer or more helpful. A great help to my everyday quality of life. Thank you"
"They were very good at informing us regarding fitting appointments and explaining everything. The gentlemen who fitted the lift was very good and patient as we had visitors. The overall service was very good and professional"
"The installer was quick, unobtrusive and on time"
"Service was very good, all the representatives were very helpful. I am very satisfied"
"Service was excellent, the engineer who installed the lift was polite and helpful"
"Very satisfied with the Stairlift and very helpful in letting me know how it works"
"First class service from a competent engineer. Very pleased with my new stairlift, easy to operate. I would highly recommend Advanced Stairlifts. Many thanks again"
At Advanced, you are guaranteed quality products at competitive prices, together with added value and excellent customer support and after sales service.